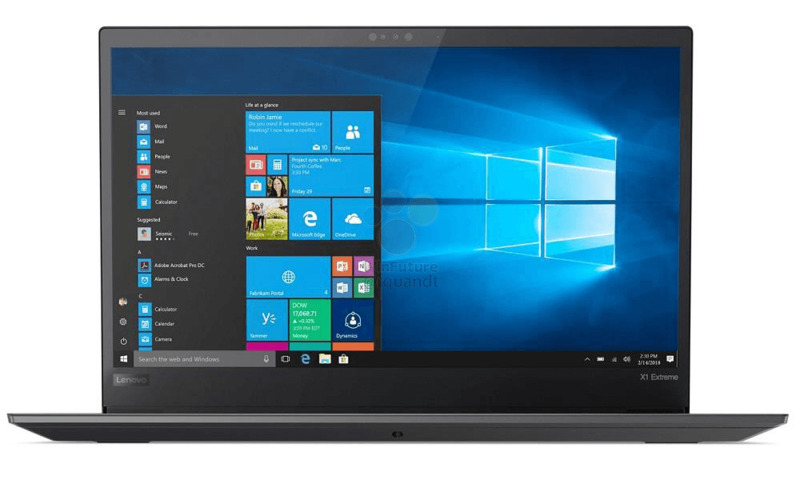 Not long ago, the first specifications of a new Lenovo ThinkPad laptop called 'ThinkPad X1 Extreme' were leaked. In another leak today, the first pictures of this mysterious new model have been leaked. They show a machines that almost looks identical to the recently announced ThinkPad P1. With its more consumer-friendly specifications, the X1 Extreme seems predestined to compete with the popular Dell XPS 15 9570. A month ago, the name 'ThinkPad X1 Extreme' was leaked alongside of some first specification. Responsible for this leak of the upcoming ThinkPad with a 15.6-inch screen was the known leaker Roland Quadt of the German website winfuture.de. 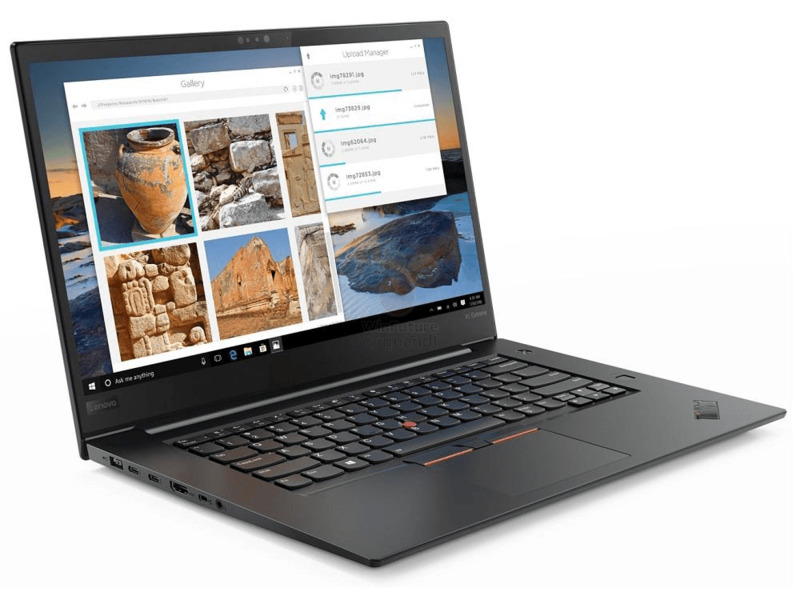 Today, Roland Quandt followed up that initial leak, as winfuture.de published the first pictures of the ThinkPad X1 Extreme. The pictures show a ThinkPad laptop that we have already seen before – the ThinkPad X1 Extreme is a spitting image of the recently announced ThinkPad P1. 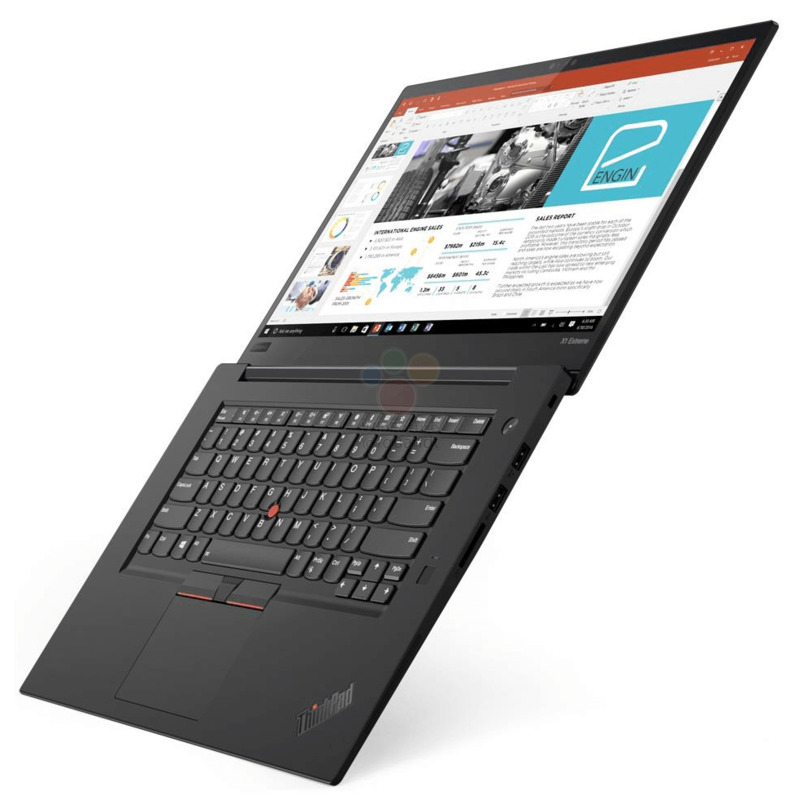 Sharing the design, the ThinkPad X1 Extreme is apparently the more affordable consumer-variant of the ThinkPad P1 – exactly like the Dell XPS 15 9570 is the consumer-model of the Dell Precision 5530. The difference between the ThinkPad X1 Extreme and the ThinkPad P1 are things like different options: While the X1 Extreme will be offered with lower end CPUs like the Intel Core i5-8300H that are not available for the ThinkPad P1, the ThinkPad X1 Extreme lacks the Xeon option and thus also the ECC-RAM option. All models of the ThinkPad X1 Extreme will feature the Nvidia GeForce GTX 1050 Ti instead of the professional Nvidia Quadro GPU solutions that the ThinkPad P1 sports. The remaining specifications are identical with the ThinkPad P1, which for example include up to 64 GB of RAM, two 2280 M.2 slots, a 80 Wh battery and an optional 15.6 inch 4K (3.840 x 2.160) screen with touch. Design-wise, the ThinkPad X1 Extreme seems like a bigger ThinkPad X1 Carbon. 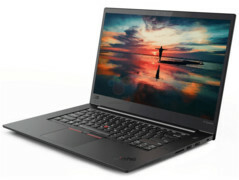 With these specifications and a lower pricing than the P1, Lenovo seems to have made the ThinkPad X1 Extreme to be a direct competitor with the popular Dell XPS 15 9570 – although it of course also competes with other powerful and thin 15 inch laptops like the Apple MacBook Pro or the HP EliteBook 1050 G1.